There’s a wedding reception with a difference taking place nearby next month and you’re invited! 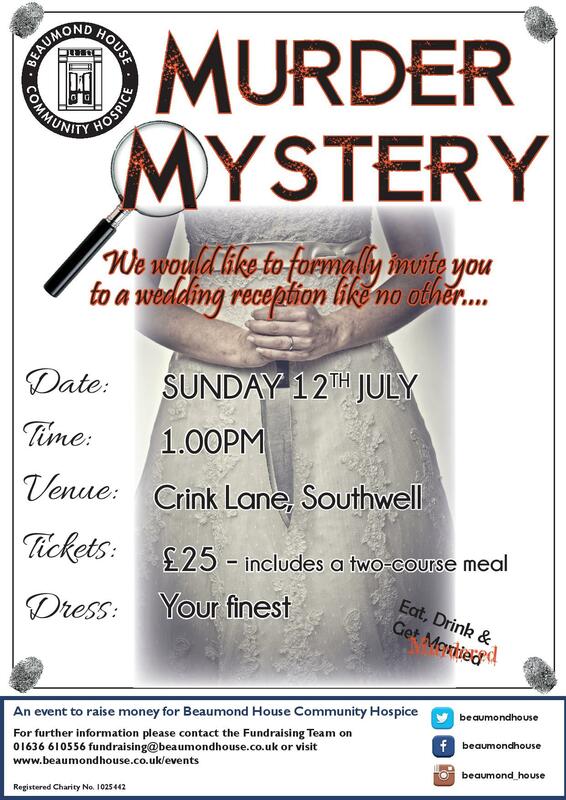 Get your gladrags on and put your sleuthing skills to the test as the mystery unfolds from 1pm on Sunday 12 July, when Beaumond House hosts its Murder Mystery Lunch at Crink Lane in Southwell. While actors perform the wedding-themed mystery, you’ll enjoy a delicious two-course lunch and have the opportunity to ask questions to help reveal the killer. Book your tickets, priced £25 each, here or call the fundraising team on 01636 610556 – if you’re a budding Miss Marple or a wannabe Poirot, now’s the chance to turn detective!